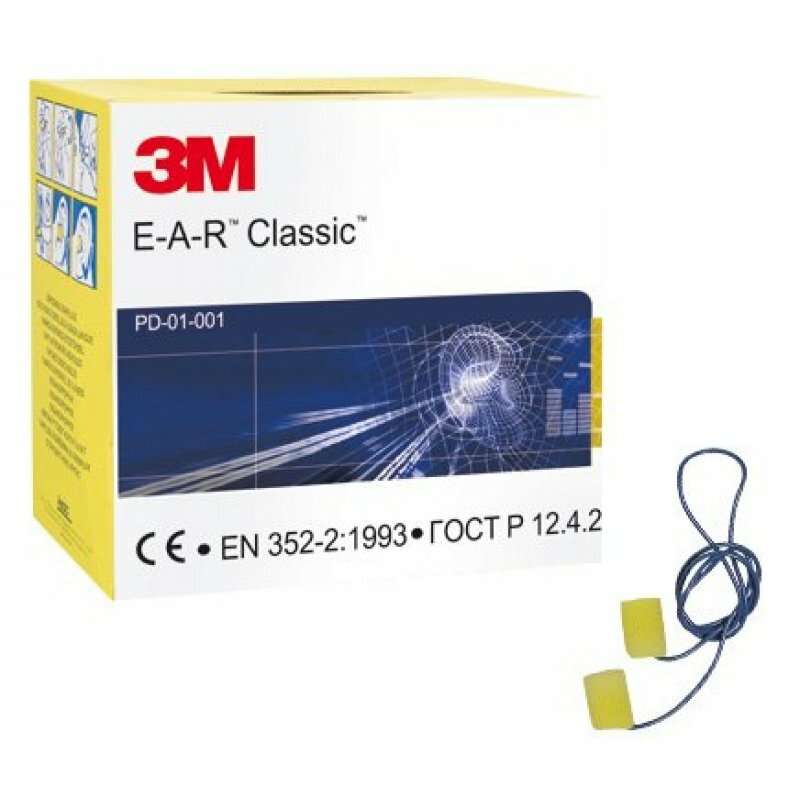 3M classic corded ear plugs. Soft yellow polymer foam. SNR29 EN352-2. 200 pairs.